Includes: 6058-01DP Chair. This transitional collection is extremely inviting, once you sit on it you will not want to get up. 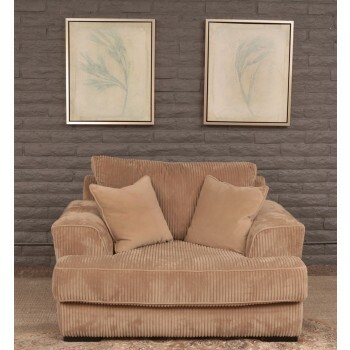 The depth along with the down seating make this a very comfortable collection and on top of that the corduroy fabric gives it an extra plush feel.